During the last decade, the political art of Rolando Pulido, a Cuban exile who has lived in New York since 1980, has become an essential visual reference in the Internet, with a very high impact for the struggle for liberation against totalitarianism in Cuba. 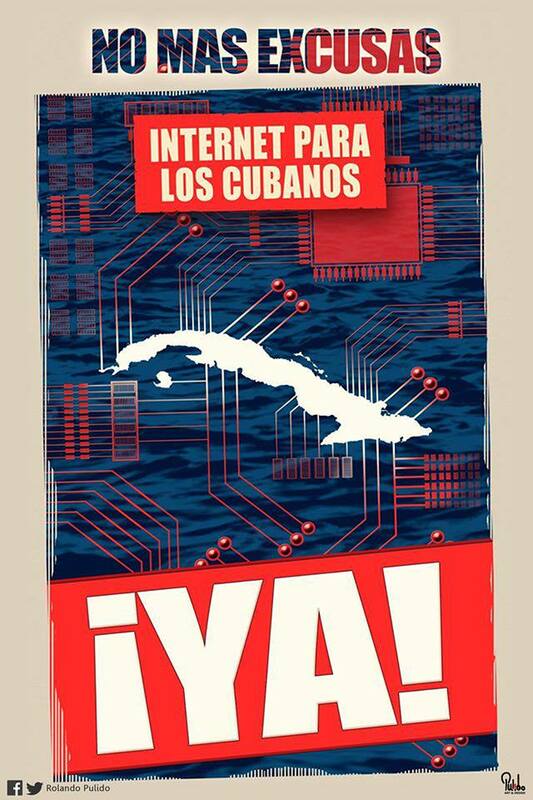 Rolando Pulido is a professional designer who has illustrated in a spectacular way each and every one of the Cuban pro-democracy campaigns on the web, developed by citizen initatives based both on the Island and in exile. Beyond his volunteering collaborations with the cause of Liberty of many generations of Cubans, Pulido is also a renowned artist with a very provocative style, as well as an active participant in Cuban social networks and in debates about individual emancipation and the dignity of the human being against all collectivist ideologies (not only under oppressive systems such as the contemporary dictatorships of the Latin American Left, but also in the mass media and academia within open societies, such as the United States). The art of Rolando Pulido has been exhibited in galleries of New York and other American cities, and it includes hundreds and hundreds of posters and videos. The Center for a Free Cuba is now offering to our readers a small but significative sample of posters created by Pulido over the past few years. If you wish to acquire any of these posters, or to collaborate in any way with this prolific Cuban creator, please, contact him directly at his email address <rolandopulido@yahoo.com>. You can also request a printed copy of one of Pulido´s posters when you make a donation to the Center for a Free Cuba, no matter the amount. CFC is a non-profit organization dedicated to the promotion of human rights in Cuba. Your donation is tax-deductible from your income tax. The Center for a Fre Cuba is a 5-01-C3 NGO according to the Internal Revenue Service. 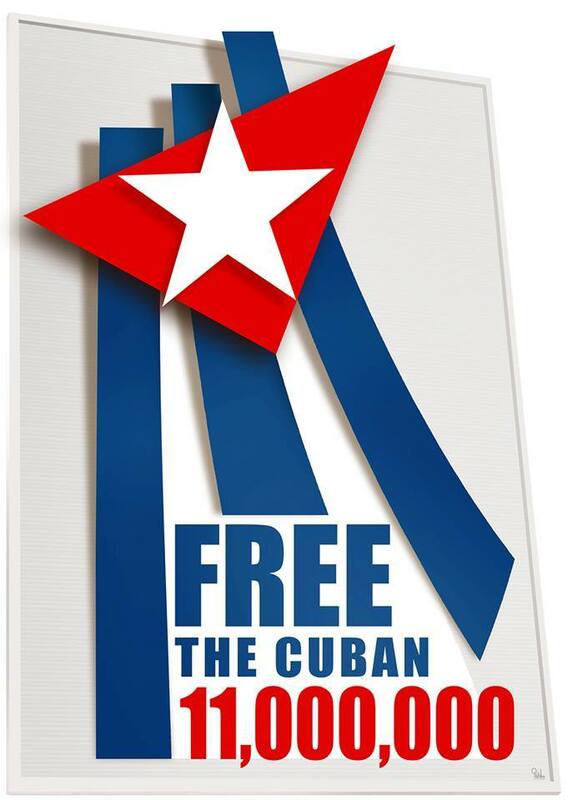 Please send your donation to: CENTER FOR A FREE CUBA, 417 West Broad Street, Suite 202, Falls Church, Virginia 22046.